Old Dominion QB Blake LaRussa led the Monarchs to a historic win over Virginia Tech as he was selected as our National QB of the Week this past week. 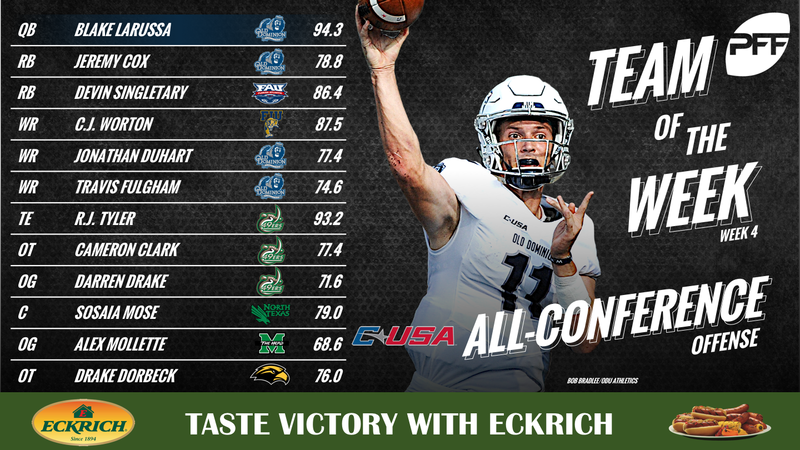 Before we head on to Week 5 in the Conference USA, we take one last look back at the best individual performances from Week 4. 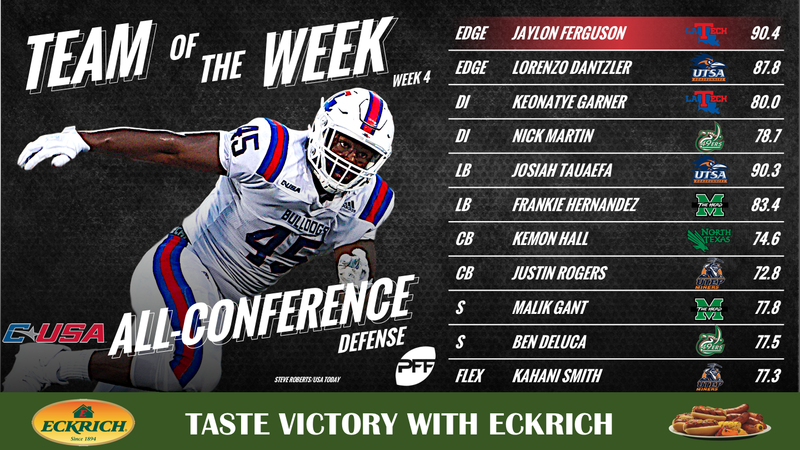 The Conference USA Team of the Week is brought to you by Eckrich, the Official Smoked Sausage of the College Football Playoff.